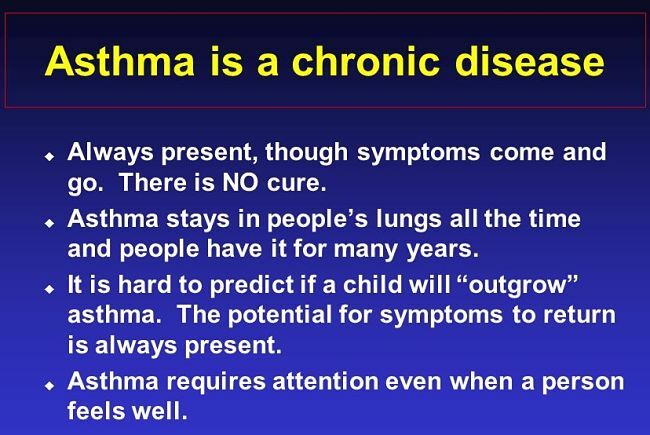 Asthma rates throughout the world have risen alarmingly in the 40 years since the 1970s. Rates for children under the age of five rising by more than 160% in the period from 1980-1994. In 2010, about 300 million people were estimated to be affected throughout the world. 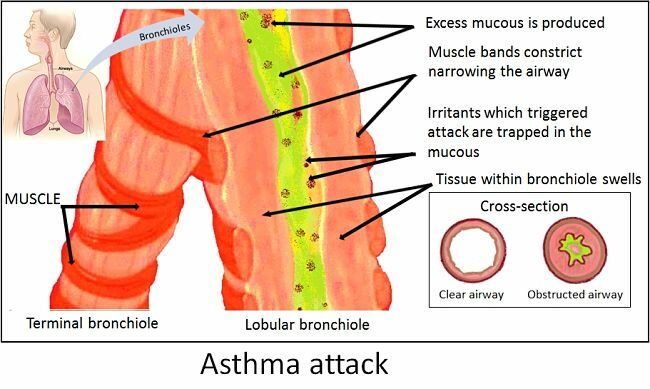 Bronchial asthma cases in Japan have increased sixfold. In the 1960s, only 1% of children suffered from bronchial asthma in Japan, but by the 1990s between 4-8% of children were affected. Japanese children are being affected by asthma at younger ages with 80 percent of sufferers now developing symptoms by the age of three years. 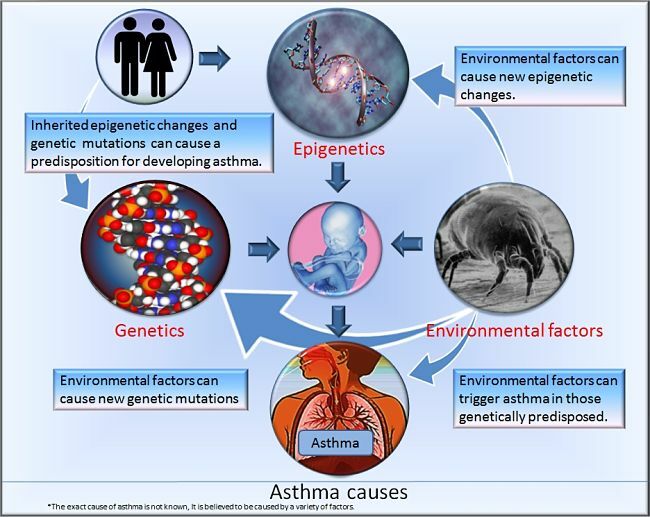 Why has the incidence of asthma in children risen? Medical experts have been trying to establish a cause for the increase. 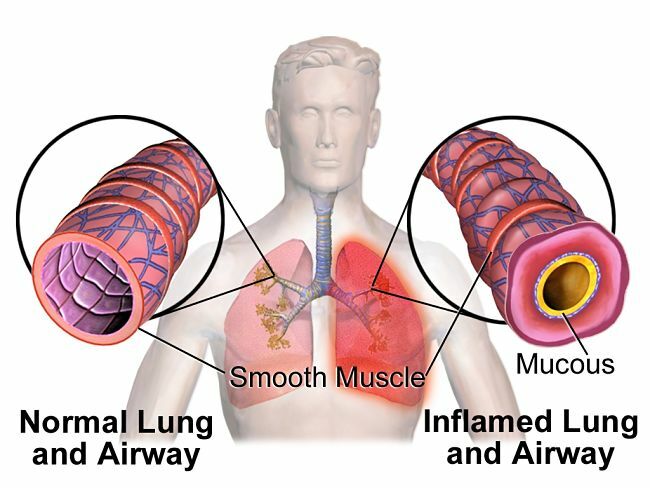 It is known that most asthma attacks are triggered by common allergens such as house dust, mites (by far the worst), cockroach faeces, cat and dog hair, pollen, dairy products, fungi, hen eggs, buckwheat and wheat. Many researches have looked to the various lifestyle changes and housing developments that may have encouraged house mites and the allergen triggers to proliferate. This includes modern draft-free house designs, the proliferation of heaters and other developments in housing. However, recent research has 'pointed the finger' at common pain and fever treatment drugs such as acetaminophen (paracetamol) which were not widely used until the 1970s. By the1980s, sales of paracetamol had risen above those of aspirin in many countries. The rise in the asthma epidemic in the 1980s coincided with the increase popularity of acetaminophen and the decline in aspirin use for treatment of fevers in children. Aspirin was linked to Reye’s syndrome in children, and many doctors stopped recommending aspirin for children in favour of acetaminophen. The switch to acetaminophen as a possible cause for increases in asthma prevalence was first proposed in 1998. Since then more than twenty studies have been conducted that support this theory, including a very large study of than 200,000 children that showed an association between the taking of acetaminophen and increased risk of asthma. 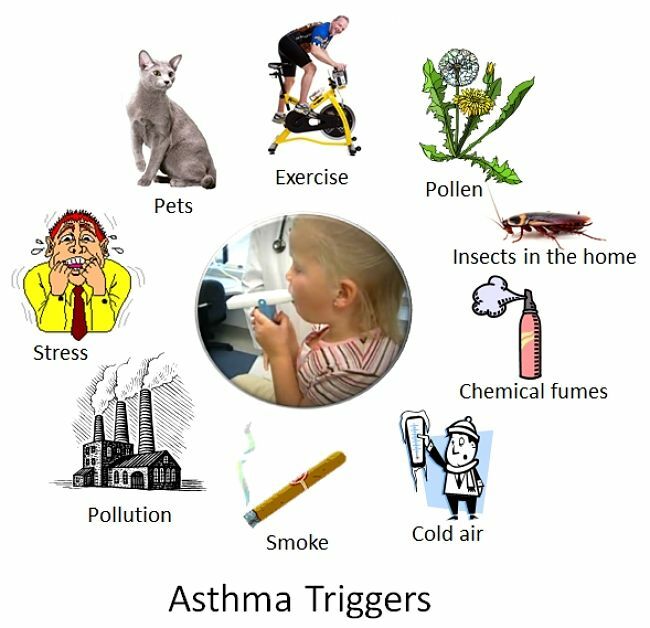 In the twenty-three years from 1980 and 2003, asthma in children in the US and throughout the world increased from about 3.5% to 6%. 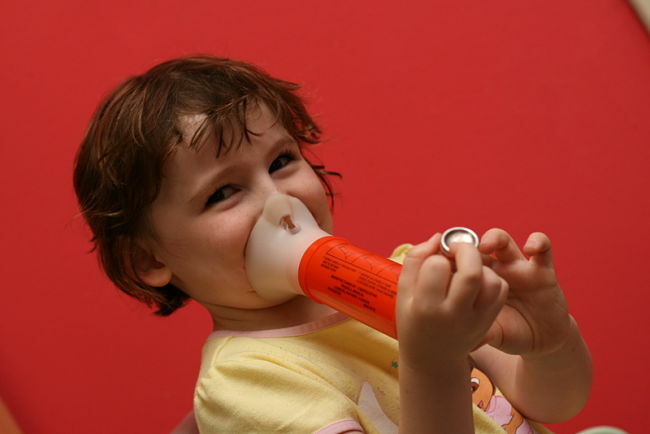 Asthma incidence then reached a plateau in the 1990s, which coincided with a similar levelling off of acetaminophen uses, as it became established as the most commonly used analgesic for children. 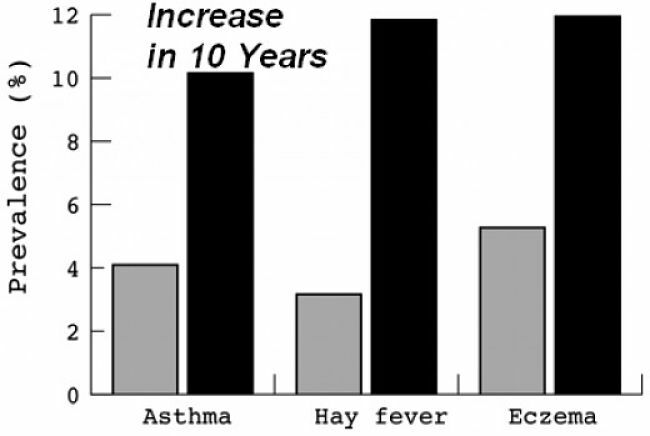 None of the suggested environmental changes over these 30 years explains the increase in childhood asthma, including the so-called "hygiene hypothesis". Many studies showed a dose-dependent relationship between acetaminophen use and asthma that was consistent for various age, geographic locations and cultures. There is evidence of a plausible explanation as it has been shown that acetaminophen causes a chronic inflammation in the lungs. Even small doses of acetaminophen have been shown to decrease the levels of glutathione in the body. This enzyme has a role in helping to repair oxidative damage in tissues that causes inflammation in the airways. A statistical link between acetaminophen and asthma has been consistently demonstrated in studies of people of all ages including adults, infants and children. 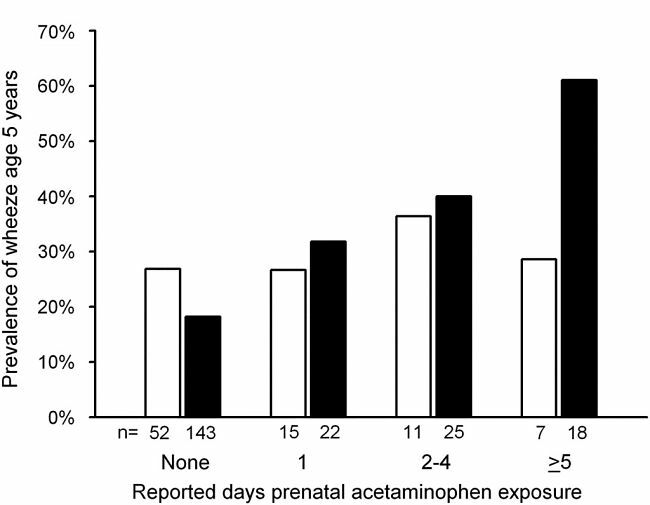 Various studies have also demonstrated an elevated risk of asthma in children of mothers who used acetaminophen during pregnancy. A 2008 study, published in The Lancet used data from more than 205,000 children from 31 countries found that children who had been given acetaminophen, to control various fevers and other aliments, during their first 12 months of life, showed a 50 % increase in risk of developing asthma symptoms, compared with children who were not treated with acetaminophen. The risk was also shown to be dose dependent, rising with increasing use. Children who had taken acetaminophen at least once in very 4 weeks showed a threefold increased risk of showing asthma symptoms. A study published by British researchers in 2000 using data from the 2008 study. mentioned previously, found that the higher the acetaminophen use in a country, the greater was that country’s prevalence for asthma. Furthermore, the prevalence of childhood wheezing was correlated with the country’s per-capita sales of acetaminophen in 31 countries around the globe. A 2009 review of various research studies suggested that children who had taken acetaminophen in the previous 12 months, were twice as likely to develop wheezing, compared with those who had not taken the drug. Acetaminophen is also known to cause increased bronchial constriction in many children. As with all correlation studies it hard to eliminate all the various associated factors and variables and to truly establish cause and effect. Most children who take acetaminophen for fever control, have some type of viral infections. These infections have themselves been shown to increase the risks of asthma developing in later in life. Many of the studies depended on the parents being able to accurately recall the doses of acetaminophen that they gave to their children, and how often. 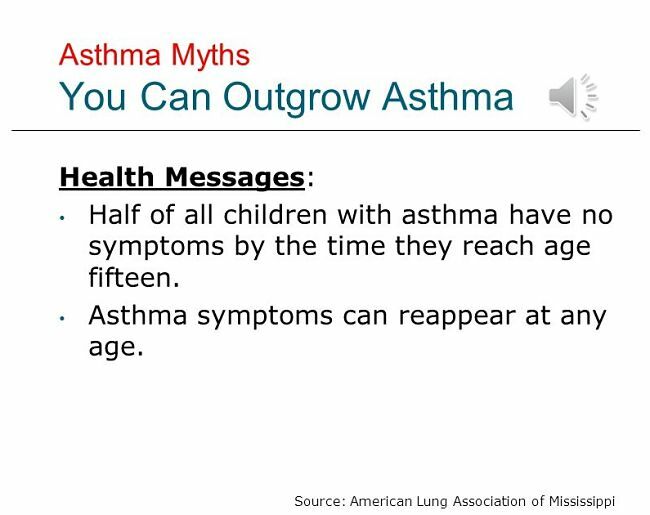 This is very unreliable way of getting these data and may be biased as the parents of children with asthma may be more aware of drugs they have given to their children. So far there is only a single properly controlled, randomized trial. Researchers in Boston in 2002, randomly assigned about 1,900 children suffering from asthma, to take either acetaminophen or ibuprofen when they developed fever symptoms. The study concluded that children who were given acetaminophen were twice as likely to be taken to a doctor for asthma symptoms than those who took ibuprofen. There is a desperate need for more randomised controls. There is a lot of uncertainty about how doctors should respond to the data and research findings. Many authorities urge caution. All studies reviewed in this work indicate that outdoor air pollution affects the appearance and exacerbation of asthma in children. The clinical features of patients and causes of diseases vary. Therefore, personalized medicine (tailor-made medicine) is necessary for the improvement of quality of life (QOL) and for asthma cure. Paracetamol use represents a putative risk factor for the development of asthma.There is convincing epidemiological evidence that the risk of asthma may be increased with exposure to paracetamol in the intrauterine environment, infancy, later childhood and adult life. 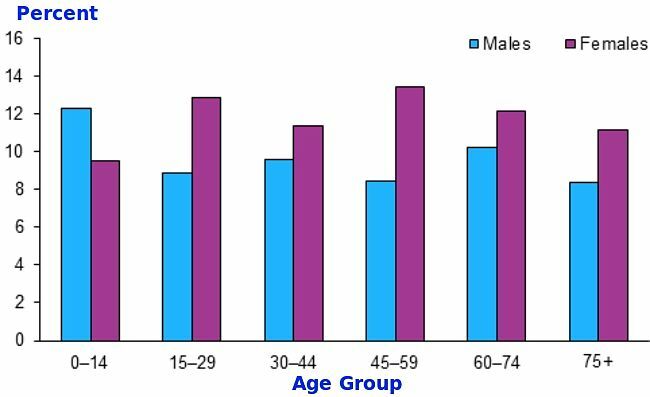 A dose-dependent association has also been observed in these different age groups in different populations world-wide.